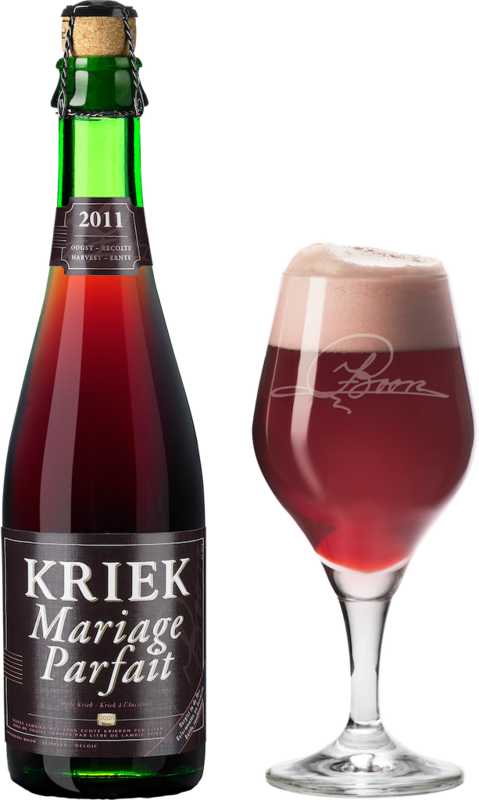 Kriek Mariage Parfait is an “Traditional Kriek” of exceptional excellence. It is unsweetened, unfiltered, unpasteurised and has no artificial flavours, preservatives or colourings added. 400 g of wild cherries per litre are fermented together with a strong Lambic of spontaneous fermentation and then aged on 6,200 litre oak foeders for 6 to 8 months. Kriek Mariage Parfait is naturally clarified and referments in the bottle. After a maturation of 6 months in the bottle, the beer is ready for tasting. Kriek Mariage Parfait has a high aging potential, keep it by preference for more than two years in a cool and dark place. Kriek Mariage Parfait has a clear deep reddish color lambic with a nice large pink head with good retention and some lacing. You will find cherry notes with some mild lambic funk in the aroma. The taste is dominated by loads of fresh cherry notes with some mild barnyard and some vanilla notes, balanced against a backdrop of musky roasted oak. 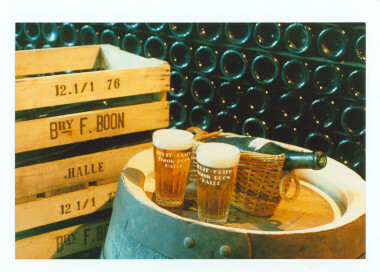 Serve this beer with magret of duck, roast goose, seared foie gras, foie gras terrine, gamy pâtés, aged goat cheeses.